Out and About 4×4 Club preserves a friendly social culture. It is our aim as a club that each member has the opportunity to participate in some or all of the organised events, if desired. We encourage activities such as camping, touring and of course Four-Wheel driving. 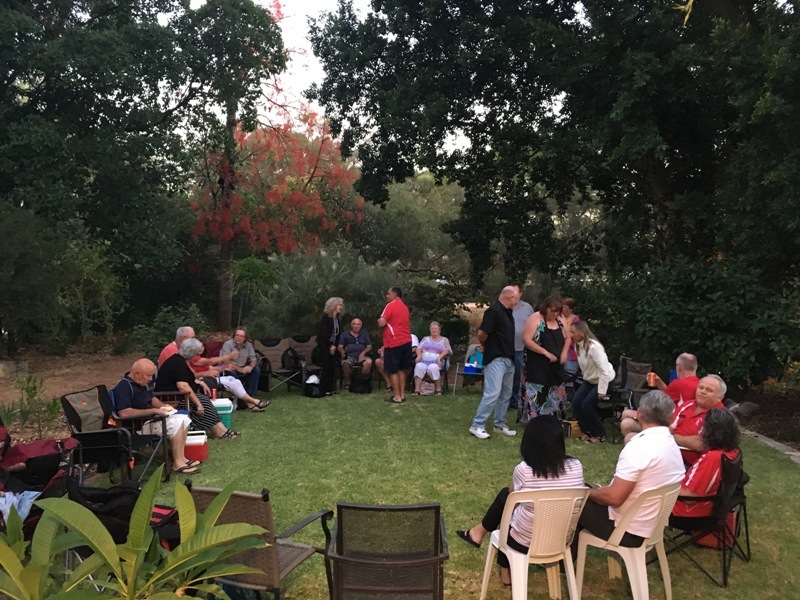 We enjoy a great social atmosphere, exploring the tracks around Perth and touring Western Australia’s beautiful countryside. Several weekends a year, our members and families hitch up the caravans and camper trailers or grab the tents and the swags and get out of Perth, find an out of the way place, set up camp and just relax or explore in our 4WD’s, it’s your choice. We enjoy using our 4WD’s on trips which include occasional rock hopping, sand driving and exploring bush tracks. The level of four wheel driving will vary from trip to trip, but would best be classified as mostly easy to moderate, which is great if you are new to the 4WD scene or just want to take it easy. We welcome all 4WD’s and the best thing is you choose which trips to participate in or can even suggest a destination of your choice. This website is designed to give you an idea of what our club is all about, you can flick over to our Facebook page too. Although the best way for you to find out is to come along and experience our Club first hand.